Marketing reinvention. The best insights and quotes from the Adobe Summit 2014, one of the world’s largest Digital Marketing conference which attracted over 5k digital marketers, publishers, agencies and technologists. I couldn’t find the time to travel to the US to attend the 2014 edition of the Adobe Summit and network with my fellow digital marketing professionals and together explore the concept of marketing reinvention. You will find more about the event on the Adobe blog, ‘Adobe Summit 2014 Explores Reinvention in the Digital Marketing World‘. As with most tech and digital events, luckily for people who couldn’t make the trip, the participants did a decent job covering the #AdobeSummit on twitter: about 1,500 twitter users -with an potential reach of 10 million followers (aggregated including duplicates, inactive and fake accounts)- ‘participated’ and produced collectively close to 3,000 tweets. Among respectively the most influential and the most active twitter users you will find the likes of Travis Wright (@teedubya), Charlene Li (@charleneli), Jeffrey Hayzlett (@JeffreyHayzlett), Guillermo Perezbolde (@gpbolde), R Ray Wang (@rwang0) and Fred Hagerman (@FredHagerman), G. Endress-Balhiser (@EndressAnalytic), Joe Dmarti (@JoeDmarti), Wendy Ertter (@Ertter), Michele Kiss (@MicheleJKiss). You will find below my personal selection of best quotes and insights from the Adobe Summit 2014. Please note that my methodology consisted of curating the most retweeted and the most favorited tweets, as well as selecting some insightful tweets which in my opinion deserved more visibility. 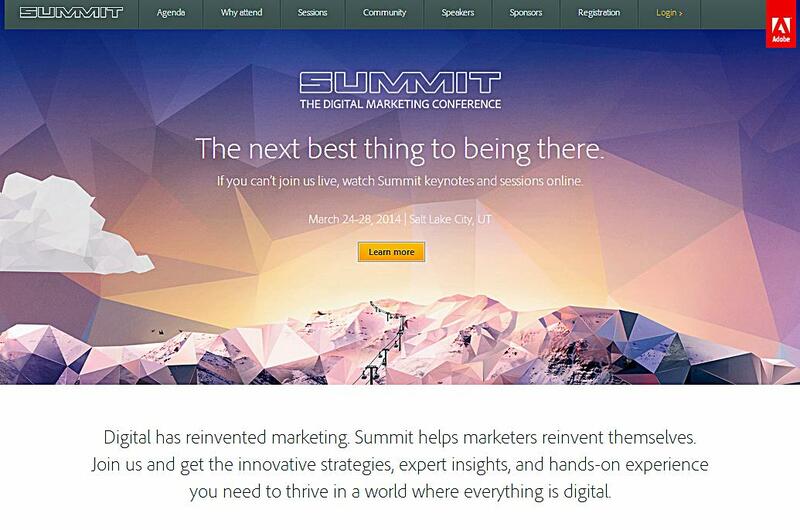 What are your favourite tweets, quotes and insights on digital marketing from the Adobe Summit 2014? I invite you to share your views on the topic of marketing reinvention here, on twitter or on google+. These 20 tweets have pushed me to use social media channels, especially Twitter to promote my business event as well.